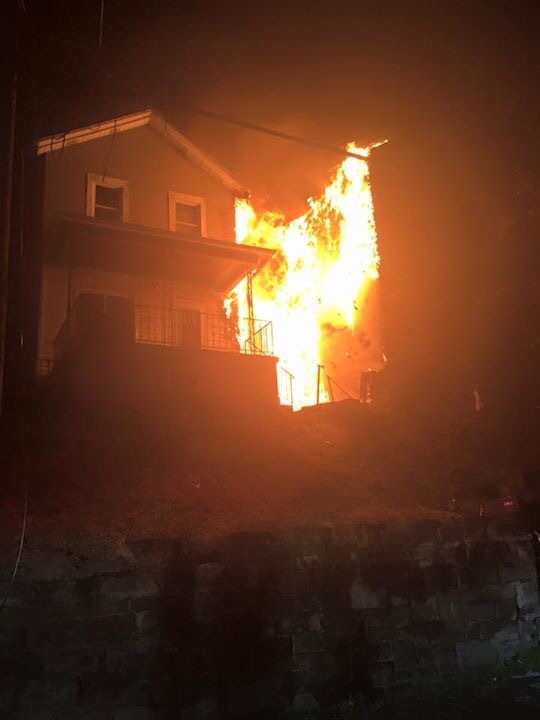 On Thursday evening, Stations 207, 113, 153, 171 were alerted for two (2) residential structure fires at 525 & 527 Price Ave in North Braddock. First arriving crews found two (2) structures well off. Crews started making an attack on the fire. As fire conditions worsened Incident Command requested a 2nd alarm bringing 137, 227, 192. 227EN responded with a crew of seven (7), once they arrived on scene they were assigned to fire attack on the exposure building. Crews made good progress and were later relieved by 192EN. 227 Crew went into rehab and was later reassigned to the 2nd floor of the original fire building. 227 operated on scene for about 3 hours.